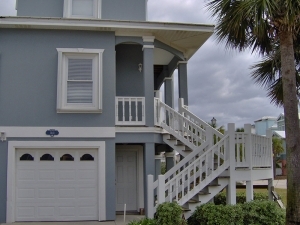 Get your project done correctly, on time with a professional fit. If any adjustments are needed, we will come right out and take care of it. With obvious care and concern for your home, our pleasant, honest design consultants will bend over backwards to meet your needs. 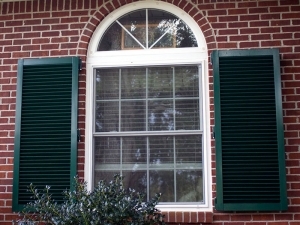 Hurricane Shutters are the most economical means of protecting your windows, your home and your family during a storm. Hurricane shutters also add value to your property, especially as buyers notice hurricanes increasing in Florida and into Alabama. Safeguard your home investment and rise above the competition with hurricane shutters in Pensacola and Alabama from Majors Home Improvement. Call us for a free consultation.. Locally manufactured for residents in Florida and Alabama. Customized configuration to meet aesthetic standards. Built to meet Miami-Dade County Building Code requirements. In-house installers improve installation time and ensure proper installation. 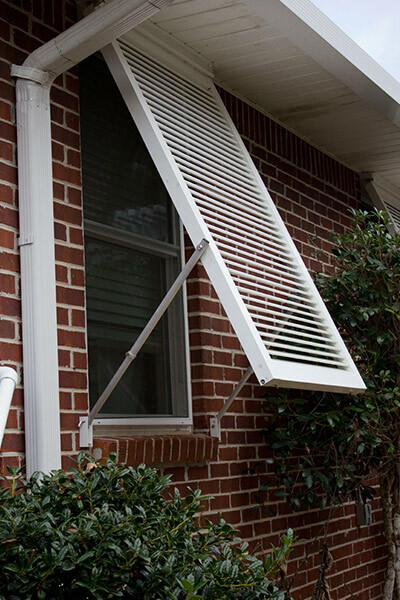 We’ve installed hurricane shutters since 1997 and will be here when the storms die down. Properly installed rolling shutters have minimum impact on the architectural integrity of your property. When not in use, they are stored in an enclosed box above your window. 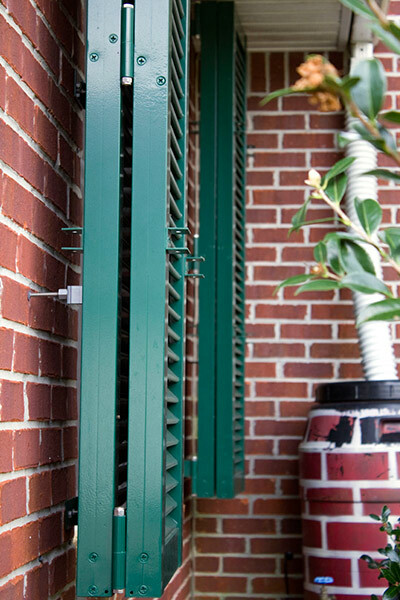 When needed for storm protection, you can manually lower them with crank handles from inside or outside the building. Or, automatically lower them with a motor, in which case manual overrides are included. In addition to storm protection, rolling shutters function for security, light and sound control and insulation. Easily operated by one person. Aligns with architecture of your home. 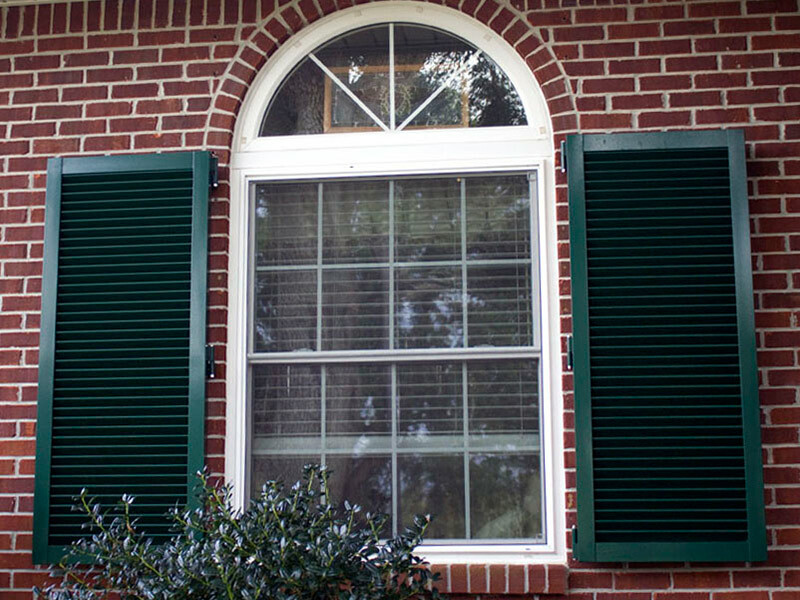 These two-piece hurricane shutters attach on the wall beside your windows for a nice decorative approach to hurricane protection. They easily fold together to protect windows during a storm. 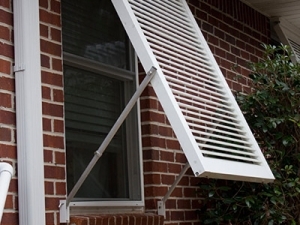 These one-piece hurricane shutters attach directly above your windows. 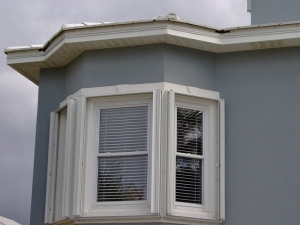 Prop them open to shade the window and lower and secure them to the wall for quick storm-ready protection. 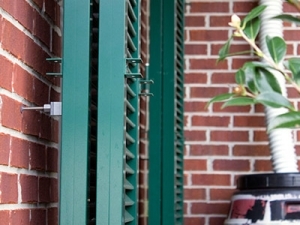 Accordion shutters unfold easily to cover and protect during a storm. When not in use, they remain permanently affixed to your window, which eliminates the need for storage. 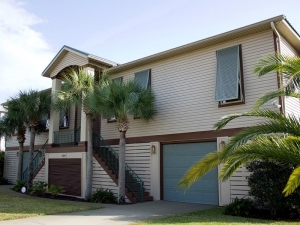 Majors Home Improvement pays special attention to aesthetics when installing hurricane shutters to minimize bulky effects and remain in-line with the design of your building. Can double as a security measure. Easy to deploy by one person. Eliminate the need for storage. Storm panels secure to the outside of a house using bolts or tracks. They deliver excellent protection for doors and windows without changing the look of your house. Aluminum storm panels offered by Majors Home Improvement provide an economical, yet highly effective alternative to conventional steel hurricane panels, which can be quite heavy and more likely to corrode. In addition, clear storm panels are available. Clear panels provide effective protection while also allowing light inside into your home. 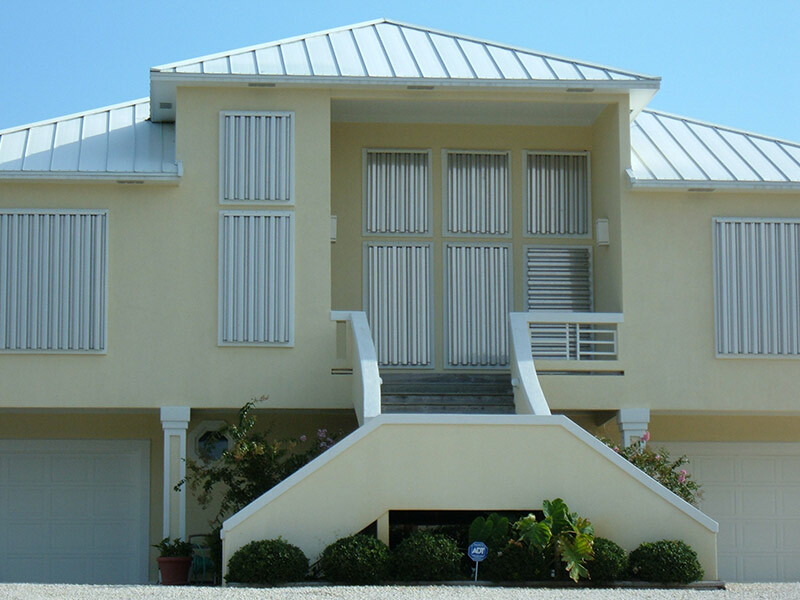 For a FREE consultation for hurricane shutters in Pensacola or the surrounding areas, contact us today. 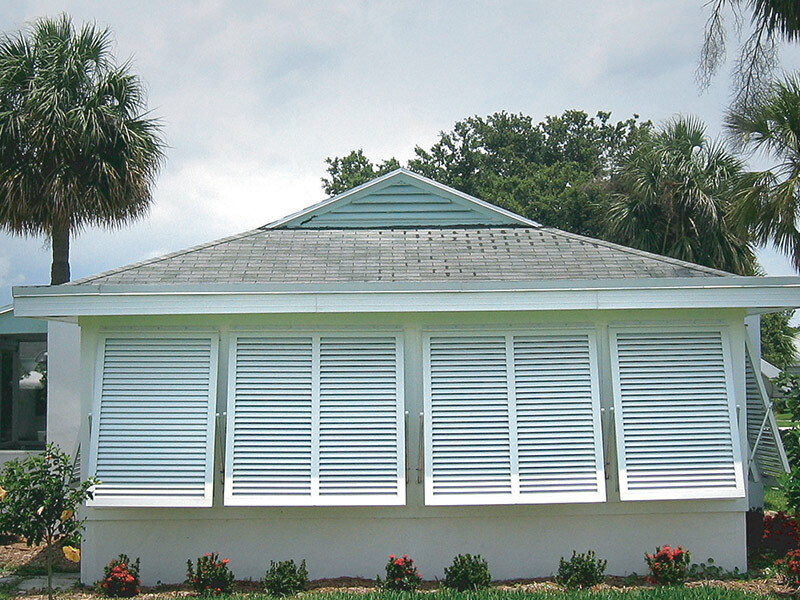 Download our Free Guide for additional tips to choosing hurricane shutters (see page 9).